His poems and prose have been previously published in Silver Birch Press, and also featured in places like eFiction India, Kind of a Hurricane Press, The Camel Saloon, The Word Couch, HackWriters, Voices de la Luna, Tuck Magazine, UUT Poetry and The Stray Branch Literary Magazine. His poems have also been featured in the book 'A Significant Anthology', which covers 175 writers from all over the globe. He observes, sometimes giving up consciousness in return. It is a dangerous thing, this silent stalking of nostalgia, but he has a maddening urge. He has to follow the trail. 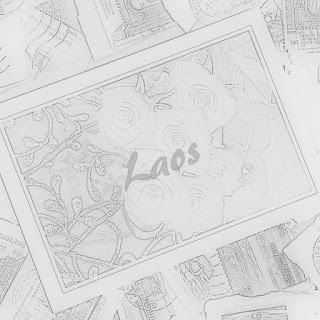 I am writing this letter to you from Laos. in the vastness of Mekong they perished. History books told that they went to war. talking to you about Laos? I think I meant Saigon; I saw war elephants there. showed them to you in moonlight. smelled like grenades and rocket launchers. the other side of a glass wall. I was telling you about a world in pain. cutting my wrist, but I listened for a while. and smiled with their yellow teeth. green was still a banned word. dancing somewhere, poking their little heads. Your peach lips are Orwellian. mammal trying to change to a whale. only those sand crystals remain, with my blood coloring one purplish black. Have you found your salvation yet?